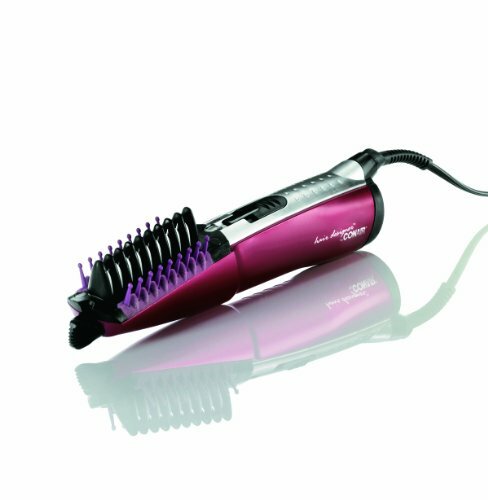 InfinitiPro Spin Air Rotating Styler is an all-in-one tool that produces versatile hairstyles. 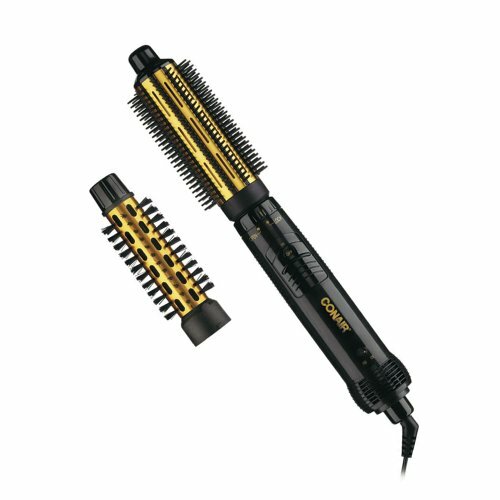 Conair is revolutionizing the way you dry and style your hair with the BC178 Spin Air Rotating Styler. Drying is safe and delicate while delivering high heat. 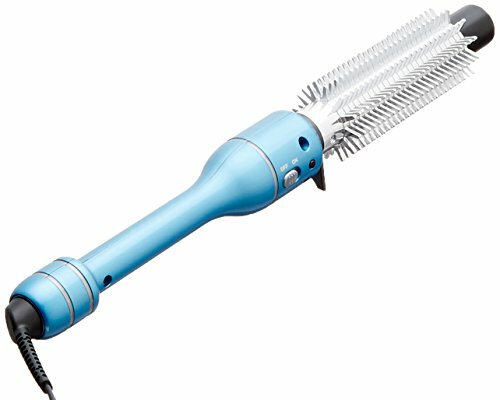 Don’t worry about damaging hot spots or frizzy strands with the BC178 Spin Air Rotating Styler. It’s convenient and easy to use and eliminates the need for a brush. 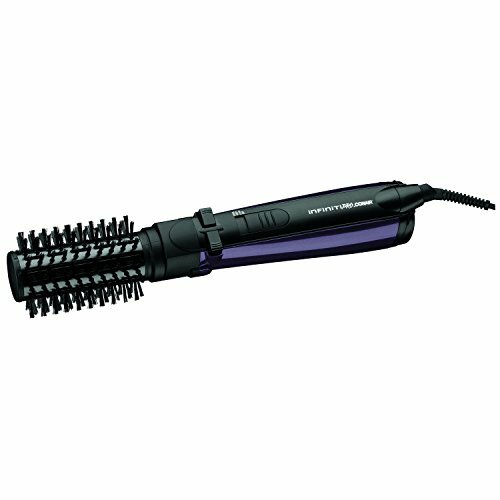 Designed with ion technology, the BC178 enables you to achieve smooth, frizz-free hair without damage. True ionic generator releases up to 100x more concentrated ions than ions created from natural sources to protect hair from damage and seal in moisture for silky, smooth results and gorgeous shine. To customize volume, use with or without the spin function. This gives you the ultimate freedom to volumize just as you like it and shine as you dry. This spinning brush opens the possibility for numerous styles and techniques. It adds volume while drying your hair and can give a distinct style other brushes cannot. You can also use it without the spin function for additional styles. And use the multi-directional rotation for carrying techniques and styles. The BC178’s lightweight, ergonomic design makes it easier to use from any angle. 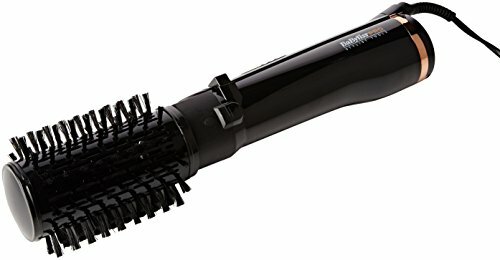 Whether you have long hair or a short cut, the styler is well-balanced for comfortable easy, and the contoured handle makes it comfortable to grip. For customizable styling, the BC178 features three heat settings along with a low and high-speed setting. With an easy flick of the rocker switches, any combination of these settings can be utilized to match your hair texture and length. For example, the low-heat, low-speed setting is perfect for delicate, fine hair of all lengths, while the high-heat, high speed setting is best suited for thick or long hair. – Volumizes and shines as you dry. – Ceramic technology safely dries and promotes healthy hair. – Faster, smoother hair, less frizz. – 2 heat settings plus cool setting for all hair types. 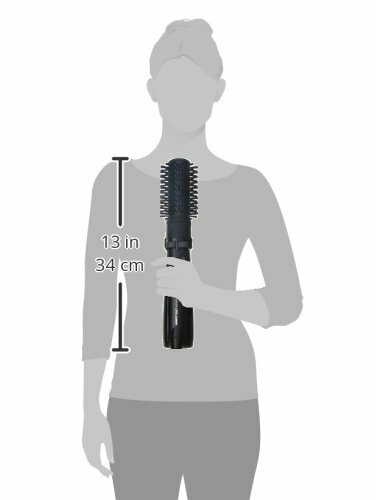 – Multidirectional brush rotates in both directions to volumize and shine. – Use with or without spin function. – Removable filter allows lint cleanup and extends. – motor life Limited three-year warranty.